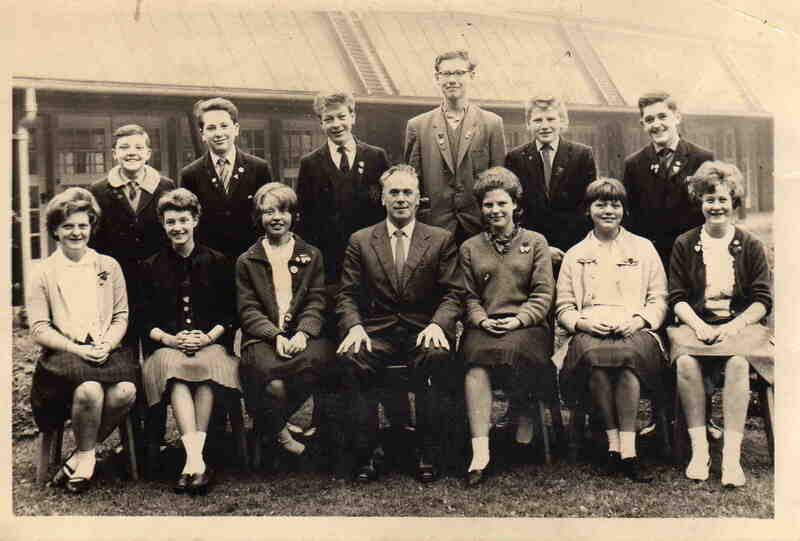 Looking at this photo brings fond memories ; they were all in my year .My name is Josephine Beech married 46 yrs with two sons and three grandchildren . Janet Patterson was a very good friend of mine believe she married Barry from the same village haven’t see her since we left school . i donot know anybody else on the photo as i am 71 now. mick weston. does anybody know if janet patterson is still with us. i know geoff(correct spelling?) and colin have passed.just thought about it.i could have phoned roy mantle . he lives at berwick now .he is a relation. mick weston. Hi to anyone who remembers me (second from the left in the back row of the above photo). It has been great looking through all the old photos on the site and many of them brought back fond memories of my days in Killamarsh. I am currently living in happy retirement in Marple Bridge, Cheshire with my wife of 40 years Pauline, both my sons having now flown the nest. Steve Wombwell went into engineering and I believe that he is now living in the Walsall area. I don’t remember ever seeing this picture before so it was a special treat to come across it. Who would believe that it has been fifty years since we all stood together. Given the fact that it is our Golden Anniversary this year we really aught to get together for a drink and a chat about old times. Like the time Mr Lound the teacher who ran the after school aero modelling club finally finished his Achilles rubber band powered glider after a great many hours work and we all went down to the air-raid shelters to see it fly. He wound up the propeller and with the fatal words “just three more turns” the back and front of the plane came together with a sickening crunch. The sight of half a dozen boys stuffing their knuckles into their mouths, trying not to laugh and almost wetting themselves in the process is something that I will never forget. Hi phil, i was there when the plane folded, but until you posted it. it was a memory i’d forgotten still it brought more tears to my eyes. six on the photograph are still in the area and i know how to get in touch with Keith so a reunion could be possible. now we have all reached retirement age. hi,Margaret Deakin as was now Londen still living in Killamarsh.Married 45 years come christmas..After living in married quarters in Somerset then on Portland Bill. One Son married with 2 grandchildren. Janet Pattison now married and living in village. Margaret Batteram married and unfortunatly widowed. Does anyone know where they are now?? ?